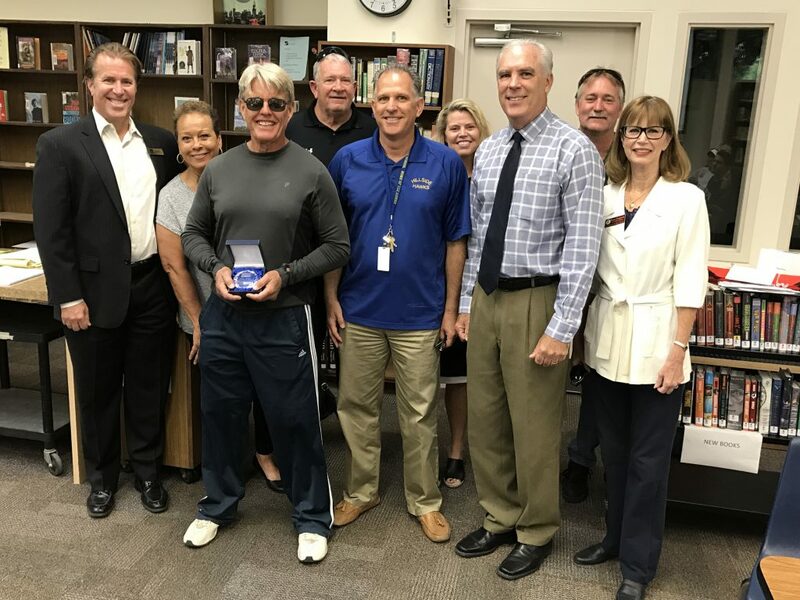 The Simi Valley Education Foundation’s Teacher of the Month program awards one teacher for his/her outstanding performance in teaching and contribution to the students at their school each month during the school year. 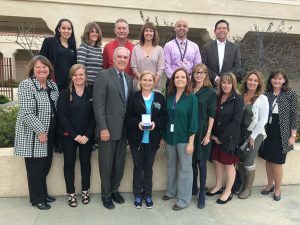 Many of our local businesses have agreed to participate and donate to this program and help us recognize our Teacher of the Month recipients. 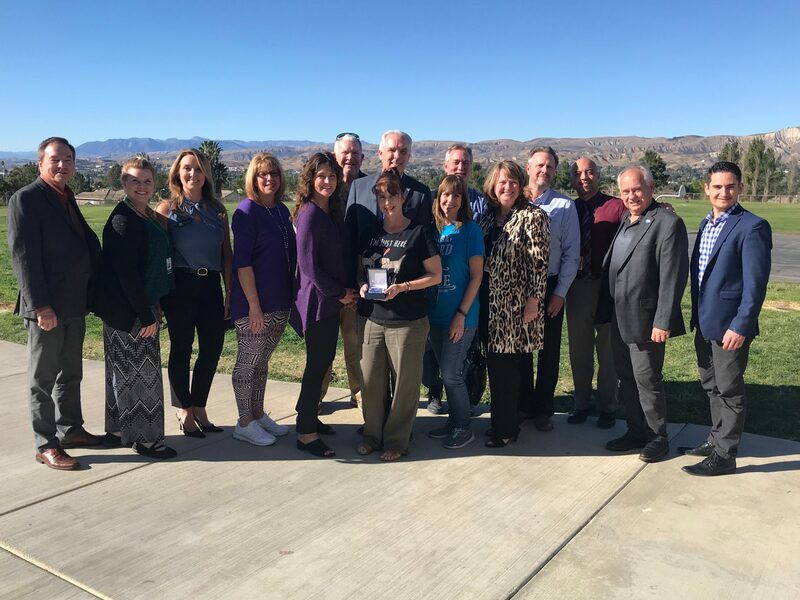 Each month our donors are invited to personally present their token of appreciation along with local dignitaries who have created personalized certificates of appreciation. 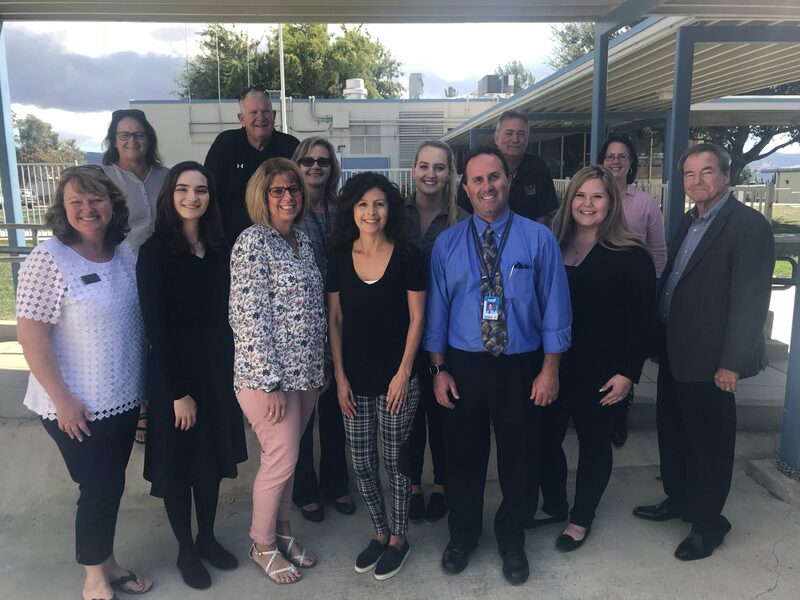 2018-2019 Teacher of the Month Recipients! 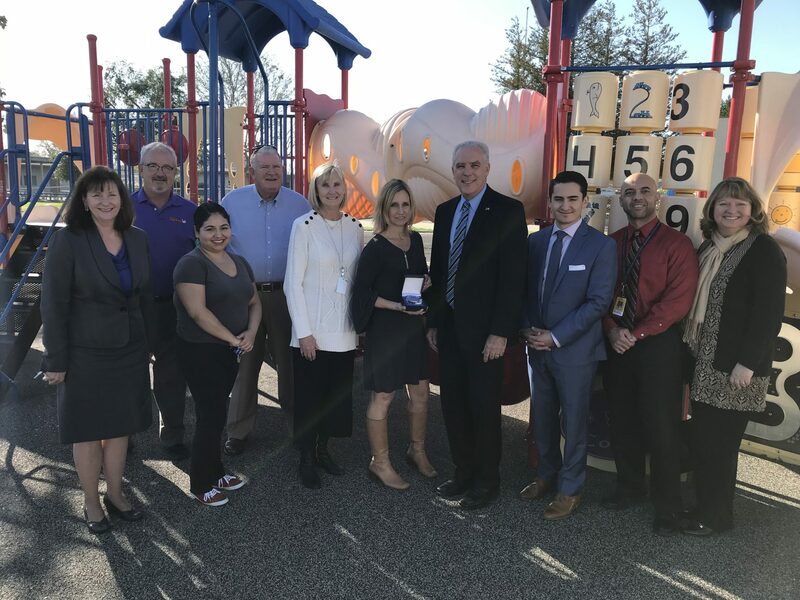 On hand to present Tifnee Leon with her Teacher of the Month award are: John Bagnall, Representative from Congressman Steve Knight’s office; Denise Kniter, Representative from Senator Henry Stern’s office; Michelle Scharf, SVEF Board Member; Caitlyn Hughes, with Lazertag; Carla Lowe, TOTM Chair and SVEF Board Member; Carli Olson, Representative from Assemblyman Dante Acosta’s; Tifnee Leon, TOTM recipient; Dr. 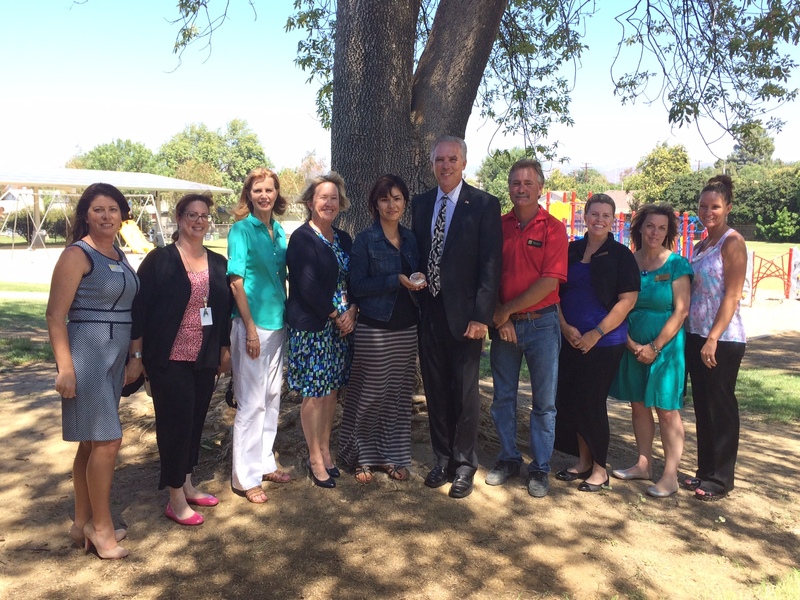 Rob Hunter, Principal of Berylwood Elementary; Dawn Smollen SVUSD Board Trustee and SVEF Board Member; Dr. Hani Youssef, SVUSD Assistant Superintendent of Educational Services; Marisa Ronstadt-Mendoza, with Grand Canyon University; Julie Ellis, SVUSD Director of Elementary Education; Kathleen Roth, SVEF Board Member; and Jake Finch, SVUSD PR/Resource Development Coordinator. 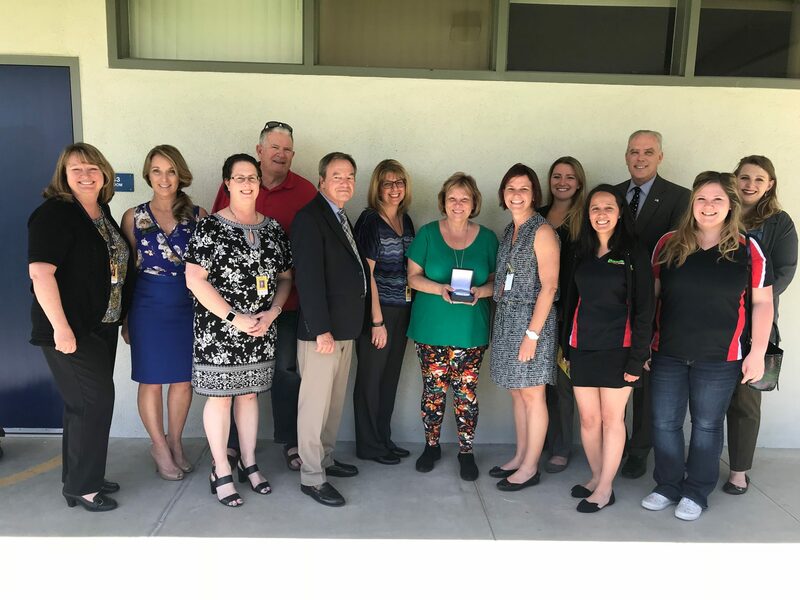 On hand to present Donna Adamski with her Teacher of the Month award are: (First row): Kathy Roth, SVEF Board Member; Denise Kniter, Representative from Senator Henry Stern’s office; Carla Lowe, SVEF Board Member and TOTM Chair; Donna Adamski; Sean Platt, Principal at Big Springs Elementary School; Caitlin Hughes, from Lazertag; John Bagnall, Representative from Congressman Steve Knight’s office; (Back row): Diana Janke, SVEF Board Member; Bob LaBelle, SVUSD Board Trustee and SVEF Board Member; Julie Ellis, SVUSD Director of Elementary Education; Carli Olson, Representative from Assemblyman Dante Acosta’s; Brian Iverson, Iverson Construction; and Jake Finch, SVUSD PR/Resource Development Coordinator. 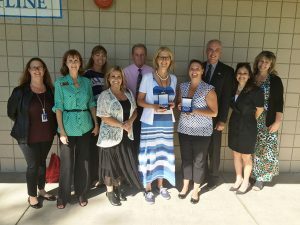 2017-2018 Teacher of the Month Recipients! 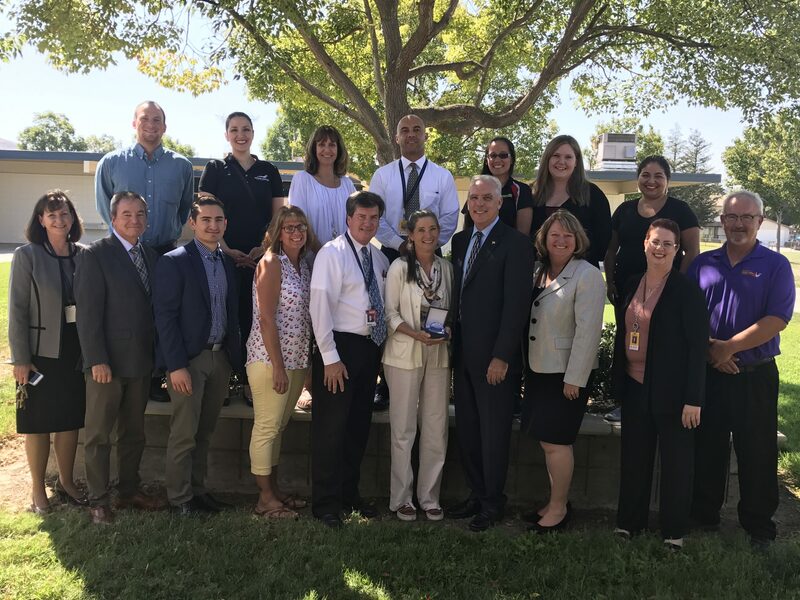 On hand to present Gayle Pinkston with her Teacher of the Month award are: (front row from the left:) Dr. Deborah Salgado, SVUSD Director of Secondary Education, John Bagnall, Representative from Congressman Steve Knight’s office; Tayler Criddle, Representative from Assemblyman Dante Acosta’s office; Carla Lowe, SVEF Board Member, Aldo Calcagno, Principal of Arroyo Elementary, Gayle Pinkston, TOTM recipient, Brian Miller, SVEF Past President and Representative from Supervisor Foy’s office; Kathleen Roth, SVUSD Director of Secondary Education, Jake Finch, SVUSD PR/Resource Development Coordinator ; and Brad Roseling, Harley’s Bowl. 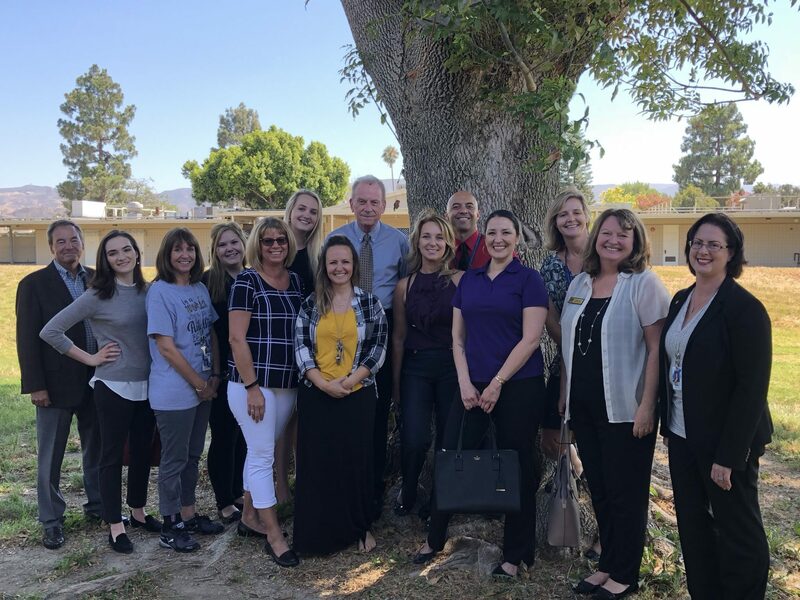 (Back row from the left are): Jeremy Wolf, Representative from Senator Henry Stern’s office; Marisa Ronstadt-Mendoza, with Grand Canyon University; Michelle Scharf, SVEF Board Member; Dr. Hani Youssef, SVUSD Assistant Superintendent of Educational Services; Nancy Curiel and Caitlyn Hughes, with Lazertag; and Angelica Escobedo, with Massage as Art. 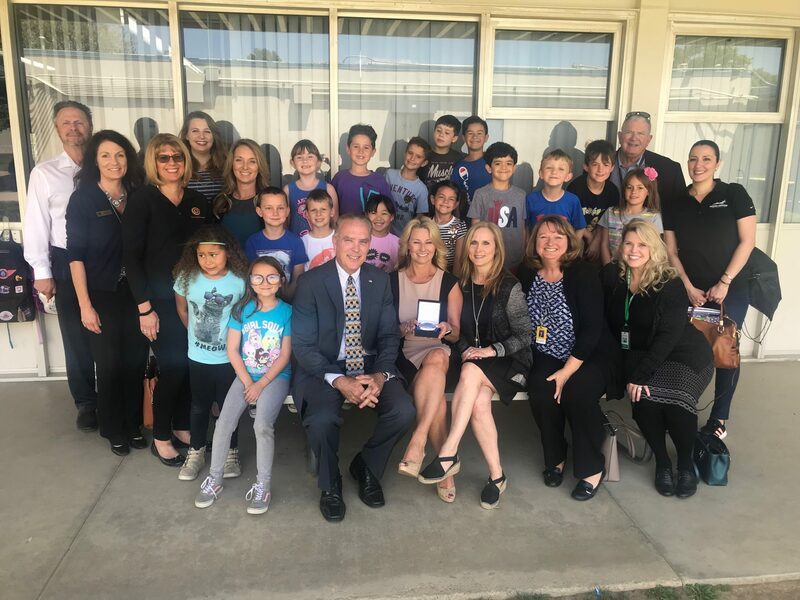 On hand to present Alice Baker with her Teacher of the Month award are: (front row from the left:) Tayler Criddle, Representative from Assemblyman Dante Acosta’s office; Caitlin Hughes, Lazertag; Celina Zacarias, Cal State Channel islands; Alyssa Shycoff, Lazertag; Sean Platt, Principal at Atherwood Elementary; Bob LaBelle, SVUSD Board Trustee and SVEF Board member; Alice Baker, October TOTM; Jeannie Liss, SVEF Board Member, Mike James, SVEF Board President; Kathleen Roth, SVUSD Director of Secondary Education; Angelica Escobedo, Massage as Art; John Bagnall, Representative from Congressman Steve Knight’s office; and Michelle Scharf, SVEF Board Member. 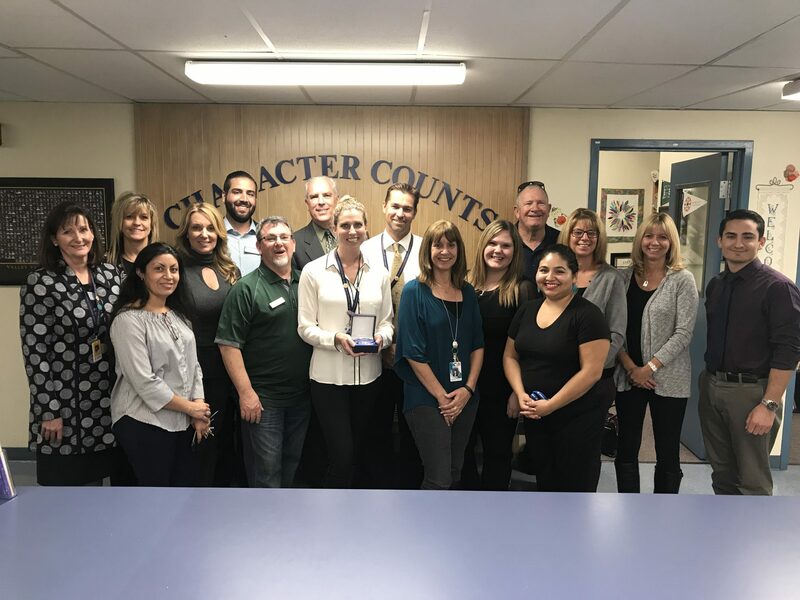 On hand to present Brandye Crumine with her Teacher of the Month award are: (Back row from the left): Dr. Deborah Salgado, SVUSD Director of Secondary Education; Kathi Van Etten, SVEF Board Member; Dawn Smollen, SVUSD Board Trustee and SVEF Board Member; Kareem Jubran, SVEF Board Member; Brian Miller, SVEF Board Member and Representative from Supervisor Peter Foy’s office; Michael Hall, Principal at Valley View Middle School; Bob LaBelle, SVUSD Board Trustee and SVEF Board Member; Carla Lowe and Lulu Mean, SVEF Board Members; Tayler Criddle, Representative from Assemblyman Dante Acosta’s office; (Front row are from the left): Josie Sandi, Representative from Congressman Steve Knight’s office; Nancy Curiel, Lazertag; Mike James, SVEF Board President, Brandye Crumine, November TOTM; Michelle Scharf, SVEF Board Member; and Angelica Escobedo, Massage as Art. On hand to present Karen Hart with her Teacher of the Month award are: John Bagnall, Representative from Congressman Steve Knight’s office; Brian Miller, SVEF Board Member and Representative from Supervisor Foy’s office; Carla Low, SVEF Board Member; Karen Hart; Scott Riggs, SVEF Board Member; Nora Kuntz, Principal at Crestview Elementary; Brad Roseling, Harley’s Bowl; Caitlin Hughes, Lazertag; Alyssa Shycoff, Lazertag; Brian Iverson, Iverson Construction and past SVEF Board Member; and Tayler Criddle, Representative from Assemblyman Dante Acosta’s office. 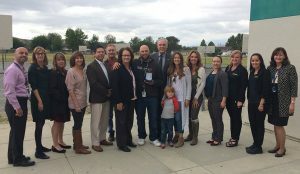 On hand to present Julie Dietz with her Teacher of the Month award are: Dr. Deborah Salgado, Director of Secondary Education SVUSD; Brad Roseling, Harley’s Bowl; Angelica Escobedo, Massage as Art; Bob LaBelle, SVEF Board Member and SVUSD Board Trustee; Marty Feinstein, Principal at Garden Grove Elementary; Julie Dietz, TOTM; Brian Miller, SVEF Board Member and Representative from Supervisor Foy’s office; Taylor Criddle, Representative from Assemblyman Dante Acosta’s office; Dr. Hani Youssef, Assistant Superintendent of Educational Services; and Kathleen Roth, Director of Elementary Education, SVUSD. 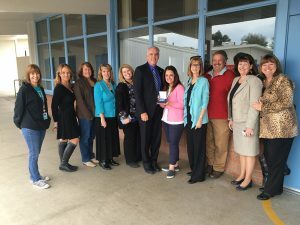 On hand to present Shannon Reitz with her Teacher of the Month award are: John Bagnell, Representative from Congressman Steve Knight’s office; Kristin Tignac, SVEF Board Member; Dawn Smollen, SVUSD Trustee and SVEF Board member; Carla Lowe, SVEF Board member; Jennifer Goldman, Principal at Mountain View Elementary; Bob LaBelle, SVUSD Trustee and SVEF Board member; Brian Miller, SVEF Board Member and Representative from Supervisor Foy’s office; Shannon Reitz, TOTM; Michelle Scharf, SVEF Board member; Brian Iverson, Iverson Construction and SVEF Advisory Board member; Kathleen Roth, SVUSD Director of Elementary Education; Scott Rigg, SVEF Board member; Dr. Hani Youssef, SVUSD Assistant Superintendent of Educational Services; Keith Mashburn, Simi Valley City Councilmen; and Taylor Criddle, Representative from Assemblyman Dante Acosta’s office. 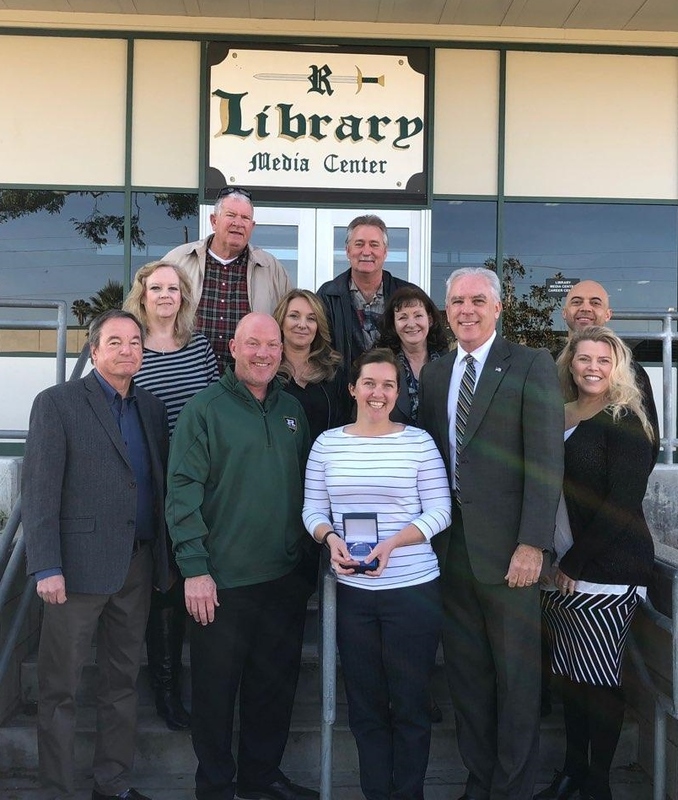 On hand to present Jessica Fancett with her Teacher of the Month award are: Front Row: John Bagnell, Representative from Congressman Steve Knight’s office; Keith Derrick, Principal of Royal High School; Jessica Fancett, TOTM recipient; Brian Miller, Brian Miller, SVEF Board Member and Representative from Supervisor Foy’s office; Second Row: Kathy Hinkle, SVEF Board Member and PTA/PTSA Council President; Dawn Smollen, SVUSD Trustee and SVEF Board member; Dr. Deborah Salgado, SVUSD Director of Secondary Education; Hani Youssef, SVUSD Assistant Superintendent of Educational Services; Kristin Tignac, SVEF Board Member; Back Row: Bob LaBelle, SVUSD Trustee and SVEF Board member; and Brian Iverson, Iverson Construction and SVEF Advisory Board member. On hand to present Joy Barkyoumb with her Teacher of the Month award are: Kathy Roth, SVUSD Director of Elementary Education; Dawn Smollen, SVUSD Trustee and SVEF Board member; Jake Finch, SVUSD Public Relations and Resource Development Coordinator; Bob LaBelle, SVUSD Trustee and SVEF Board member; John Bagnell, Representative from Congressman Steve Knight’s office; Carla Lowe, SVEF Board Member; Joy Barkyoumb, TOTM recipient; Erin Taggert, Principal of Park View Elementary School; Morgan Culbertson, Representative from Senator Henry Stern’s office; Nancy Curiel and Alyssa Shycoff, Lazertag Extreme; Brian Miller, Brian Miller, SVEF Board Member and Representative from Supervisor Foy’s office; and Julia Seidel, Representative from Assemblyman Dante Acosta’s office. 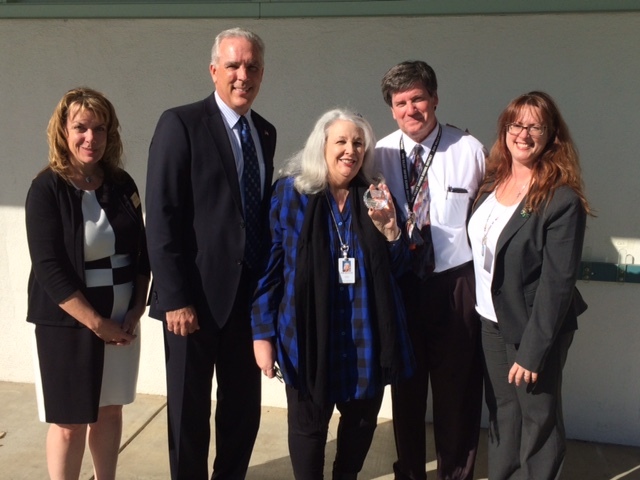 On hand to present Janet Payne with her Teacher of the Month award are: Bob LaBelle, SVUSD Trustee and SVEF Board member; Kathy Hinkle, SVEF Board Member; Jake Finch, SVUSD Public Relations and Resource Development; Michelle McManigal, Principal at Sycamore Elementary; Janet Payne; Brian Miller, SVEF Board member and Representative from Supervisor Foy’s office; Marissa Ronstadt-Mendoza, Grand Canyon University; Julia Seidel, Representative from Assemblyman Dante Acosta’s office; Kathy Roth, SVUSD Director of Elementary Education; and Dr. Hani Youssef, Assistant Superintendent of Educational Services. 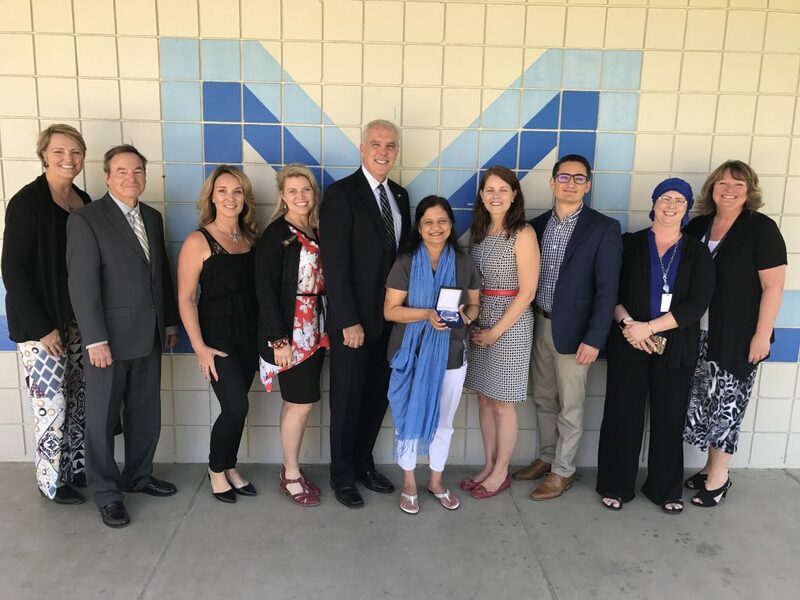 On hand to present Nona Kissane with her Teacher of the Month award are: (Her entire class) and Scott Rigg, SVEF Board Member; Kathryn Stiles, SVEF Board Member, Carla Lowe, SVEF Board Member; Julia Seidel, Representative from Assemblyman Dante Acosta’s office; Dawn Smollen, SVUSD Trustee and SVEF Board Member; Brian Miller, Representative from Supervisor Peter Foy’s office and SVEF Board Member; Nona Kissane; Lori Neiman, Principal at Township Elementary; Kathy Roth, SVUSD Director of Elementary Education; Kristin Tignac, SVEF Board Member; Bob LaBelle, SVUSD Trustee and SVEF Board member; and Marissa Ronstadt-Mendoza, Grand Canyon University. 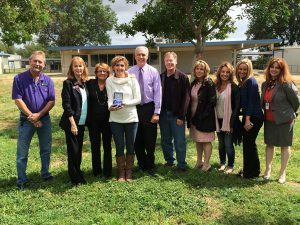 2016-2017 Teacher of the Month Recipients! 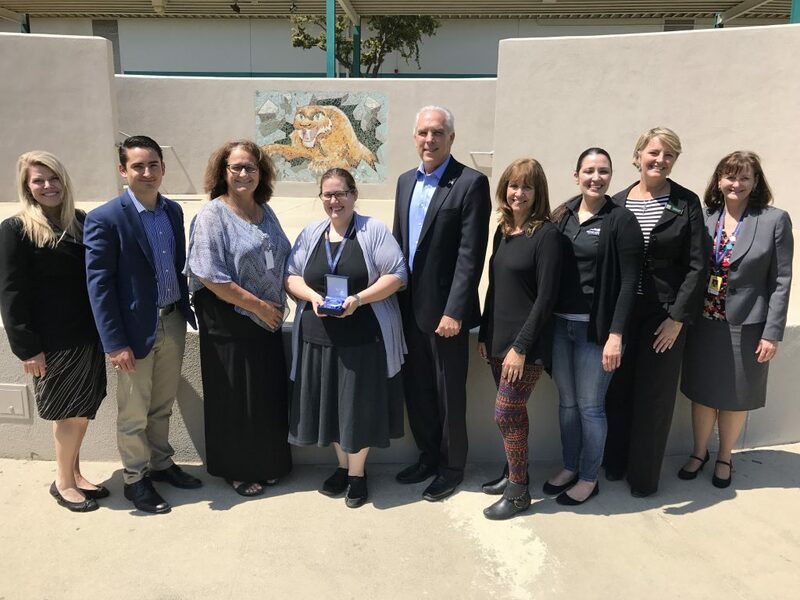 On hand to present Sarah Gerfen with her Teacher of the Month award were from the left: Kristin Tignac, SVEF Board Members; Tayler Criddle, Representative from Assemblyman Dante Acosta’s office; Diana Janke, Principal at Sinaloa MS; Sarah Gerfen; Brian Miller, SVEF Past President and Representative from Supervisor Foy’s office; Michelle Scharf, SVEF Board Member; Marisa Ronstadt-Mendoza, Grand Canyon University; Jeannie Liss, SVEF Board Member; Dr. Deborah Salgado, SVUSD Director of Secondary Education. 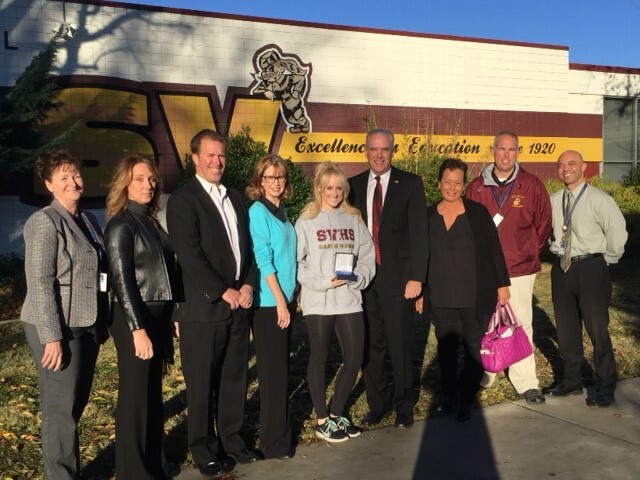 On hand to present Ruby Vyes with her Teacher of the Month award were from the left: Jeannie Liss, SVEF Board Member; John Bagnall, Representative from Congressman Steve Knight’s office; Dawn Smollen, SVEF Board Member, Brian Miller, SVEF Past President and Representative from Supervisor Foy’s office; Ruby Vyes; Melody Dennert, Principal of Madera Elementary School; Tayler Criddle, Representative from Assemblyman Dante Acosta’s office; Jake Finch, SVUSD; and Kathleen Roth, SVUSD Director of Elementary Education. 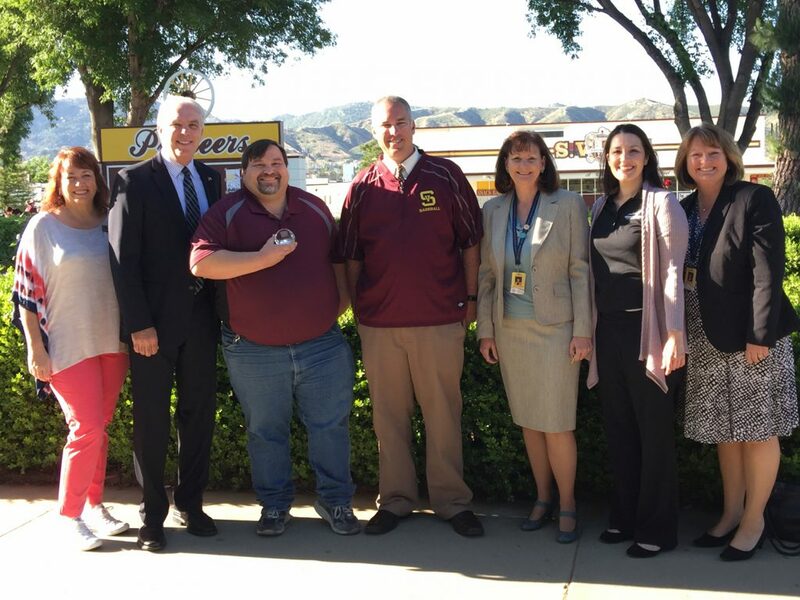 On hand to present Jeramie Oliveira with his Teacher of the Month award were from the left: Cathy Carlson, SVEF Board Member; Brian Miller, SVEF Past President and Representative from Supervisor Foy’s office; Jeramie Oliveira; Dean May, Principal of Simi Valley High School; Dr. Deborah Salgado, SVUSD Director of Secondary Education; Marisa Ronstadt-Mendoza, Grand Canyon University; and Kathleen Roth, SVUSD Director of Elementary Education. On hand to present Wendy Erickson with her Teacher of the Month award were from the left: Dr. Deborah Salgado, SVUSD Director of Secondary Education; Brian Miller, SVEF Past President and Representative from Supervisor Foy’s office; Tayler Criddle, Representative from Assemblyman Dante Acosta’s office; Teacher of the Month recipient Wendy Erickson; Erin Taggart, principal at Parkview Elementary School; Bob LaBelle, SVEF Board Member and SVUSD School Board Trustee; Leroy Leyba, SVEF Board Member and Dr. Hani Youssef, SVUSD Assistant Superintendent of Educational Services. 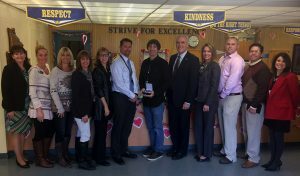 On hand to present Carolyn Lantos with her Teacher of the Month award were from the left: (FRONT ROW) Tayler Criddle, Representative from Assemblyman Dante Acosta’s office; Marie Lakin, Representative from Senator Henry Stern’s office; Jason O’Brien, representing Lazertag; Brian Miller, SVEF Past President and Representative from Supervisor Foy’s office; Teacher of the Month recipient Carolyn Lantos; Shanna Sarris, principal at Apollo High School; and Leory Leyba, SVEF Board Member. 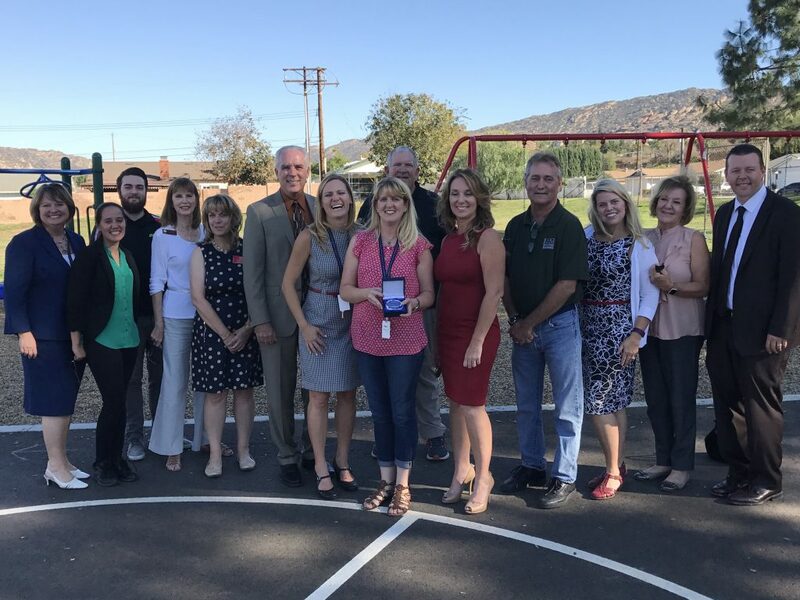 (BACK ROW) Marisa Ronstadt-Mendoza, representing Grand Canyon University; Katie Varner, representing Congressman Steve Knight; Dawn Smollen, Brian Iverson and Mike James, all SVEF Board Members; and Dr. Deborah Salgado, SVUSD Director of Secondary Education. 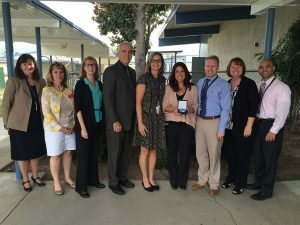 On hand to present the Laura Hofmann with her Teacher of the Month award were from the left: Kathleen Roth, SVUSD Director of Elementary Education; Michelle Scharf, SVEF Board Member; Susie Montoya, Representative from Assemblyman Dante Acosta’s office; Dustin Ellis, SVUSD; Stacy Walker, Principal at Santa Susana Elementary; Laura Hofmann; Brian Miller, SVEF Board Member and Representative from Supervisor Foy’s office; Bob LaBelle, SVEF Board Member and SVUSD Trustee; Kristin Tignac, SVEF Board Member; Jason, representing Lazertag; and Taylor Criddle and Sharon Bronson, Representatives from Assemblyman Dante Acosta’s office. 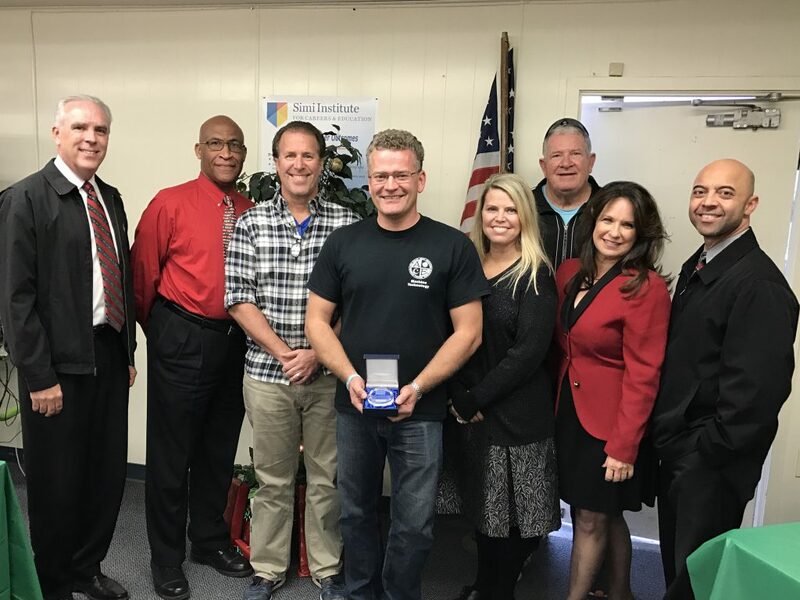 On hand to present the Oygar Lindskog with his Teacher of the Month award were from the left: Brian Miller, SVEF Board Member and Representative from Supervisor Foy’s office; Mel Vines, Assistant Principal at Simi Institute for Careers and Education; Brian Ring, SVEF Board President, Oygar Lindskog, Kristin Tignac, SVEF Board member; Bob LaBelle, SVEF Board Member and SVUSD Trustee; Sharon Bronson, Representative from Assemblyman Dante Acosta’s office; and Hani Youssef, SVUSD Assistant Superintendent of Educational Services. 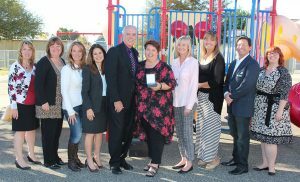 On hand to present Kristen Riddick with her Teacher of the Month award were from the left: Kathleen Roth, SVUSD Director of Elementary Education; Lazertag representatives Nancy Curiel and Jason O’Brien; Pam Campeau – Representative from Assemblyman Scott Wilk’s office; Marie Lakin – Representative from Senator Fran Pavely’s office; Brian Miller, SVEF Board Member and Representative from Supervisor Foy’s office; Katherine Elementary Principal Jamie Snodgrass; Kristin Riddick, Teacher of the Month recipient; Bob LaBelle, SVEF Board Member; Tom West, Teacher of the Month recipient; Tim Bednar, Principal at Hillside Middle School; (Back row): Bob LaBelle, Dawn Smollen, Brian Iverson, Kristin Tignac, and Barbara Glodfelty, SVEF Board members; and Scott Blough, SVUSD Trustee. 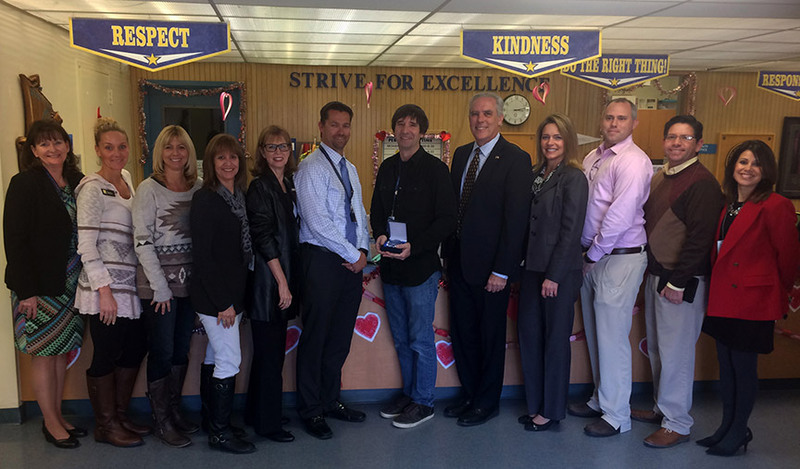 On hand to present Tom West the October Teacher of the Month from Hillside Middle School with his award were from the left (front row): Brian Ring, SVEF President of the Board; Marty De Los Rio, SVEF Board Member; Tom West, Teacher of the Month recipient; Tim Bednar, Principal at Hillside Middle School; Brian Miller, SVEF Board Member and Representative from Supervisor Foy’s office; Pam Campeau – Representative from Assemblyman Scott Wilk’s office; (Back row): Bob LaBelle, Kristin Tignac and Brian Iverson, SVEF Board members. On hand to present Caroline Hardeman with her September Teacher of the Month from Hollow Hills Elementary School with her award were from the left: Mary Bandini, Representative from Congressman Steve Knight’s office; Jeannie Liss, SVEF Board Member; Pam Campeau – Representative from Assemblyman Scott Wilk’s office; Marie Lakin, Representative from Senator Fran Pavley’s office; Shawn Rumble, Principal at Hollow Hills Elementary; Caroline Hardeman, Teacher of the Month recipient; Brian Miller, SVEF Board Member and Representative from Supervisor Foy’s office; Dawn Smollen, SVEF Board member; Hani Youssef, Assistant Superintendent of Educational Services; and Simi Valley Unified School District Superintendent Dr. Jason Peplinski. 2015-2016 Teacher of the Month Recipients! 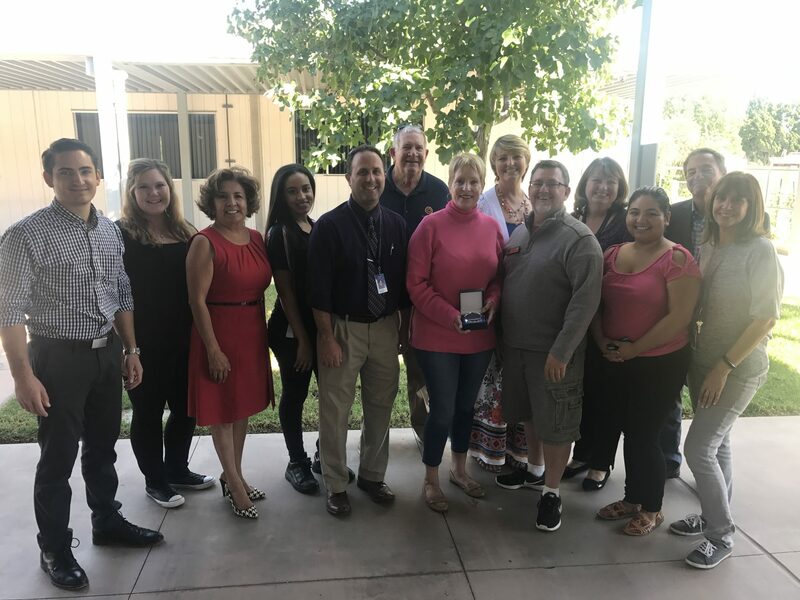 On hand to present our June Teacher of the Month with her award were from the left top row: Theresa Niehoff, Lazertag Extreme; Kim Holden, Brian Iverson and Michelle Scharf, SVEF Board Members; Hani Youssef, SVUSD Assistant Superintendent of Educational Services; and Leroy Leyba, SVEF Board Member. 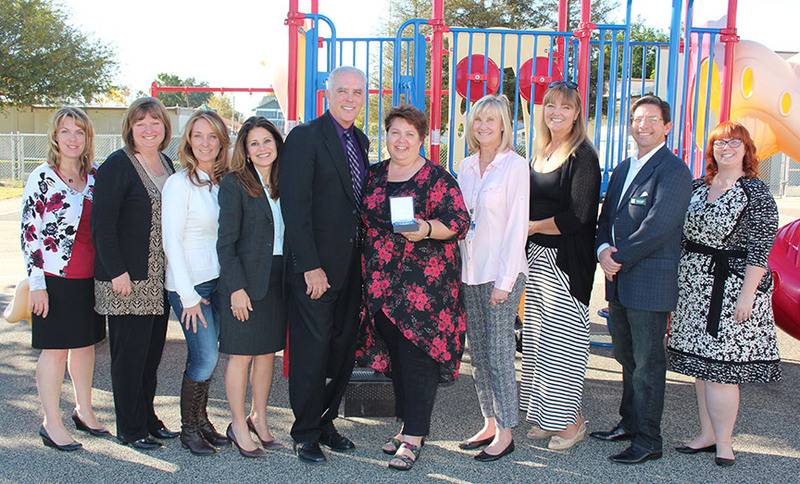 Front row: Kathleen Roth, SVUSD Director, Elementary Education; Nancy Curiel , Lazertag Extreme; Brian Miller, SVEF President of the Board and Representative from Supervisor Foy’s office; April Hemphil, Teacher of the Month recipient; Kate Snowden, Principal of Wood Ranch Elementary; Pam Campeau – Representative from Assemblyman Scott Wilk’s office; Marie Lakin, Representative from Senator Fran Pavley’s office; Dawn Smollen, SVEF Board member; and Deborah Salgado, SVUSD Director of Secondary Education. 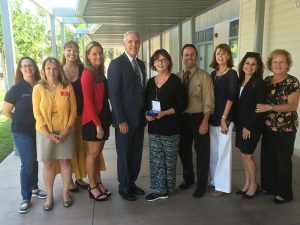 On hand to present our May Teacher of the Month with his award were from the left: Hani Youssef, SVUSD Assistant Superintendent of Educational Services; Pam Campeau – Representative from Assemblyman Scott Wilk’s office; Marie Lakin, Representative from Senator Fran Pavley’s office; SVEF Board members Michelle Scharf, Leroy Leyba and Brian Iverson; Diana Janke, Principal of Sinaloa Middle School, Denver Smith, May Teacher of the Month recipient; Brian Miller, SVEF President of the Board and Representative from Supervisor Foy’s office; SVEF Board Members Lacey Noe and Dawn Smollen; Mary Bandini, Representative from Congressman Steve Knight’s office; Nancy Curiel and Theresa Niehoff, both with Lazertag Extreme, and Deborah Salgado, SVUSD Director of Secondary Education. On hand to present our April Teacher of the Month with her award were from the left: Cathy Carlson, Jeannie Liss and Brian Iverson, SVEF Board Members; Marie Lakin, Representative from Senator Fran Pavley’s office; Carol Richards, SVEF Board Member; Pam Campeau – Representative from Assemblyman Scott Wilk’s office; Brian Miller, SVEF President of the Board and Representative from Supervisor Foy’s office; Debbie Friedrich, Teacher of the Month recipient; Nicole Perryman, Principal at White Oak Elementary; Mary Bandini, Representative from Congressman Steve Knight’s office; Kathleen Roth, SVUSD Director, Elementary Education; and Amy Ginnever, SVEF Board Member. 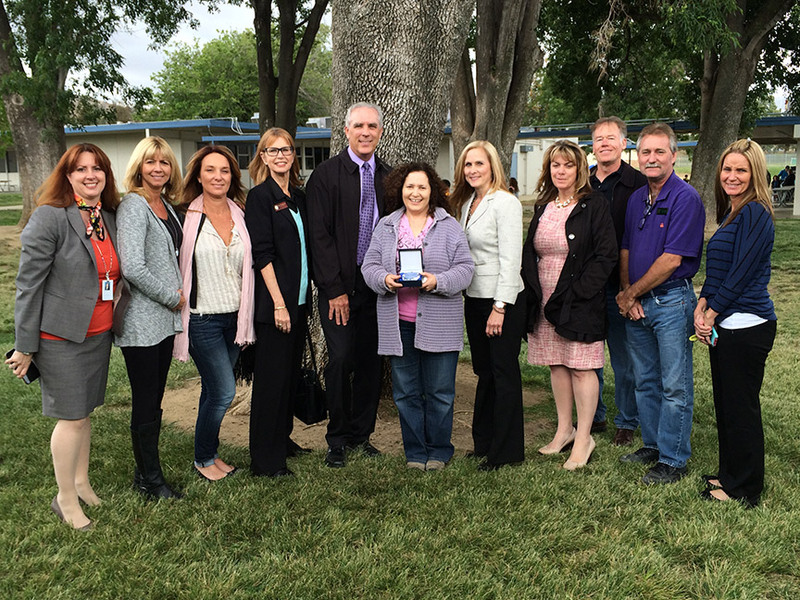 On hand to present our March Teacher of the Month from Vista Fundamental Elementary with her award were from the left: Deborah Salgado, SVUSD Director, Secondary Education; Marie Lakin, Representative from Senator Fran Pavley’s office; Pam Campeau – Representative from Assemblyman Scott Wilk’s office; Brian Miller, SVEF President of the Board and Representative from Supervisor Foy’s office; Julie Ellis, Principal at Vista Fundamental Elementary; Christine Pungrchar, Teacher of the Month recipient; Dr. Jason Peplinski, SVUSD Superintendent and SVEF Board member; Kathleen Roth, SVUSD Director, Elementary Education; and Hani Youssef, SVUSD Assistant Superintendent of Educational Services. 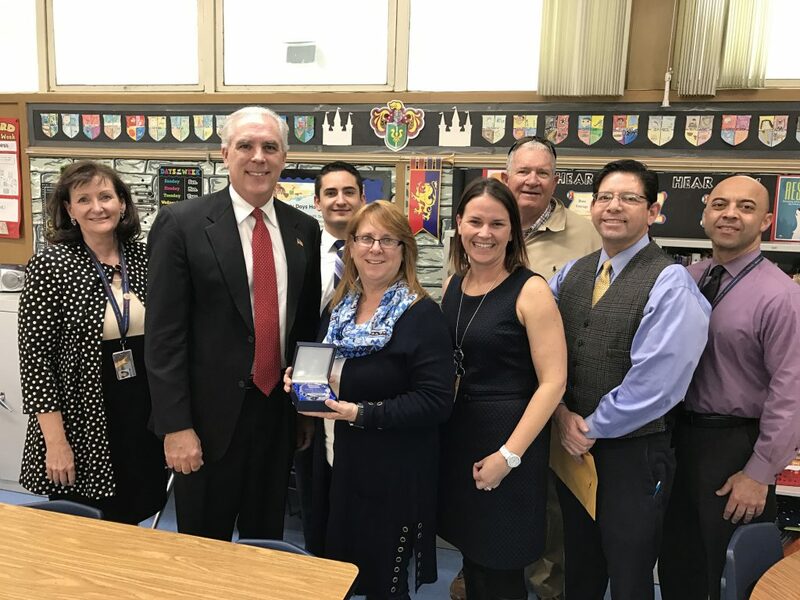 On hand to present the February Teacher of the Month from Valley View Middle School with her award were from the left: Deborah Salgado, SVUSD Director, Secondary Education; Amy Ginnever, Lulu Means and Michelle Scharf, SVEF Board members; Pam Campeau – Representative from Assemblyman Scott Wilk’s office; Michael Hall, Principal at Valley View Middle School; John McCarter, Teacher of the Month recipient; Brian Miller, SVEF President of the Board and Representative from Supervisor Foy’s office; Carol Richards, SVEF Board Member; Ryan Woods, Studio Movie Grill; Leroy Leyba, SVEF Board Member and Pat Saraceno, Representative from Congressman Steve Knight’s office. 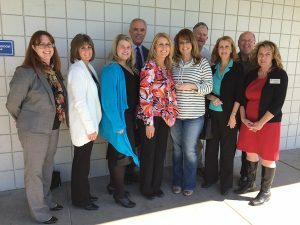 On hand to present the January Teacher of the Month from Simi Valley High School with her award were from the left: Deborah Salgado, SVUSD Director, Secondary Education; Dawn Smollen, SVEF Board member; Brian Ring, SVEF Board Member; Pam Campeau – Representative from Assemblyman Scott Wilk’s office; Jennifer Christman, Teacher of the Month recipient; SVEF Board Member; Brian Miller, SVEF President of the Board and Representative from Supervisor Foy’s office; Marty De Los Rios, SVEF Board Member; Dean May, Principal of Simi Valley High School; and Hani Youssef, SVUSD Assistant Superintendent. 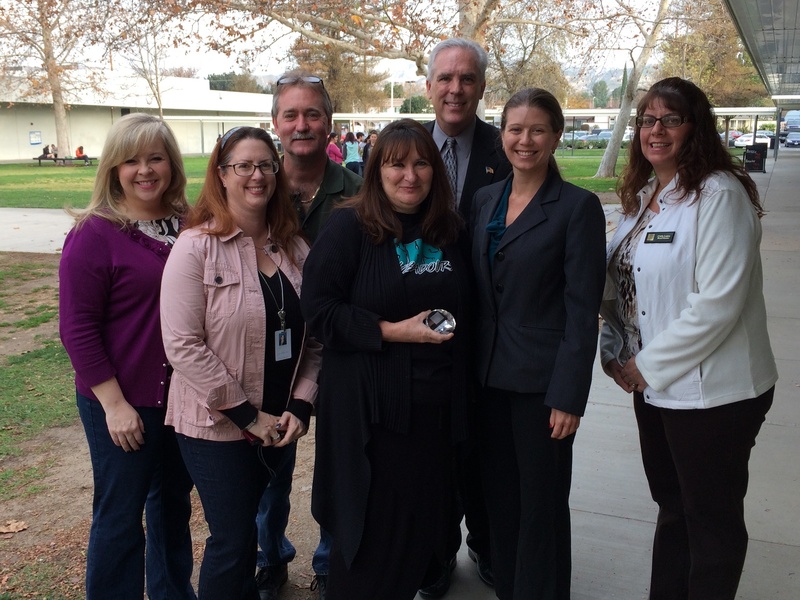 On hand to present the December Teacher of the Month from Monte Vista School with her award were from the left: Michelle Scharf, SVEF Board Member; Dawn Smollen, SVEF Board member; Cathy Carlson, SVEF Board Member; Marie Lakin, Representative from Senator Fran Pavley’s office; Kristin Tignac, SVEF Board Member; Brian Miller, SVEF President of the Board and Representative from Supervisor Foy’s office; Tracie Garfinkle, Teacher of the Month recipient; Pam Campeau – Representative from Assemblyman Scott Wilk’s office; Dr. Stephen Pietrolungo, Principal of Monte Vista School; Deborah Salgado, SVUSD Director, Secondary Education; and Kathleen Roth, SVUSD Director, Elementary Education. 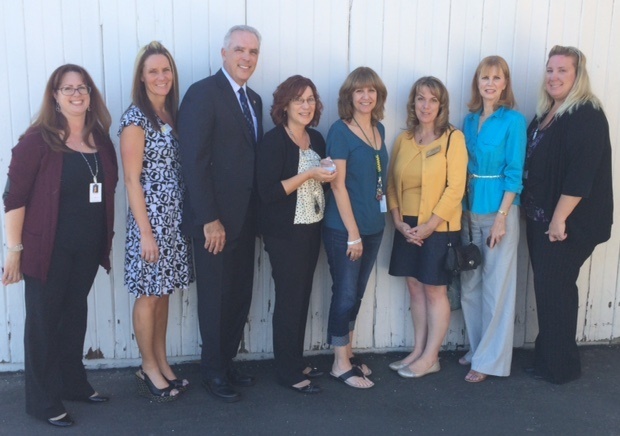 On hand to present the November Teachers of the Month from Garden Grove Elementary with her award were from the left: Marie Lakin, Representative from Senator Fran Pavley’s office; Kathleen Roth, SVUSD Director, Elementary Education; Dawn Smollen, SVEF Board Member; Patricia Saraceno, Representative from Congressman Steve Knight’s office; Brian Miller, SVEF President of the Board and Representative from Supervisor Foy’s office; Denise Aiani, Teacher of the Month recipient; Martha Feinstein, Principal of Garden Grove Elementary; Jeannie Liss, SVEF Board Member; Leroy Leyba, SVEF Board Member; and Sue Tatangelo, Ventura County Credit Union. Congratulations Marcia Eearnest and Kyran Mallon! On hand to present the October Teachers of the Month from Berylwood Elementary with their award were from the left: Jake Finch, SVUSD; Pam Campeau – Representative from Assemblyman Scott Wilk’s office; Jeannie Liss, SVEF Board member; Lori Fraschilla, Ventura County Credit Union; Dr. Robin Hunter, Principal of Berylwood Elementary; Kyran Mallon and Marcia Earnest Teacher of the Month recipients; Brian Miller, SVEF President of the Board and Representative from Supervisor Foy’s office; Patricia Saraceno, Representative from Congressman Steve Knight’s office; and Kathi VanEtten, SVEF Board Member. 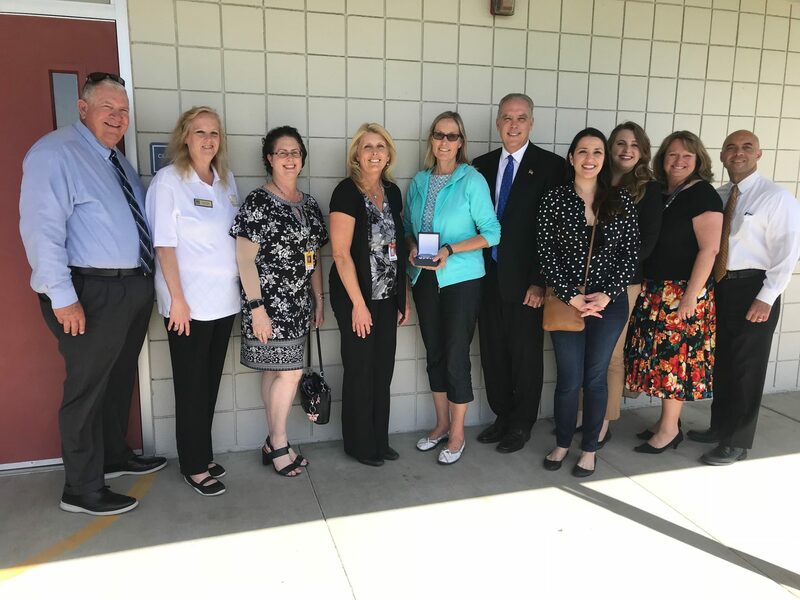 On hand to present Elise Franklin — our September Teacher of the Month from Atherwood Elementary– with her award from the left are: Jake Finch – SVUSD; Marie Lakin, Representative from Senator Fran Pavley’s office; Jeannie Liss, SVEF Board Member; Amy Ginnever, SVEF Board member and representing Ventura County Credit Union; Brian Miller, SVEF President of the Board and Representative from Supervisor Foy’s office; Elise Franklin, Teacher of the Month recipient; Sean Platt, Principal at Atherwood Elementary; Pam Campeau – Representative from Assemblyman Scott Wilk’s office; Patricia Saraceno, Representative from Congressman Steve Knight’s office; and Barbara Glodfelty, SVEF Board Member. 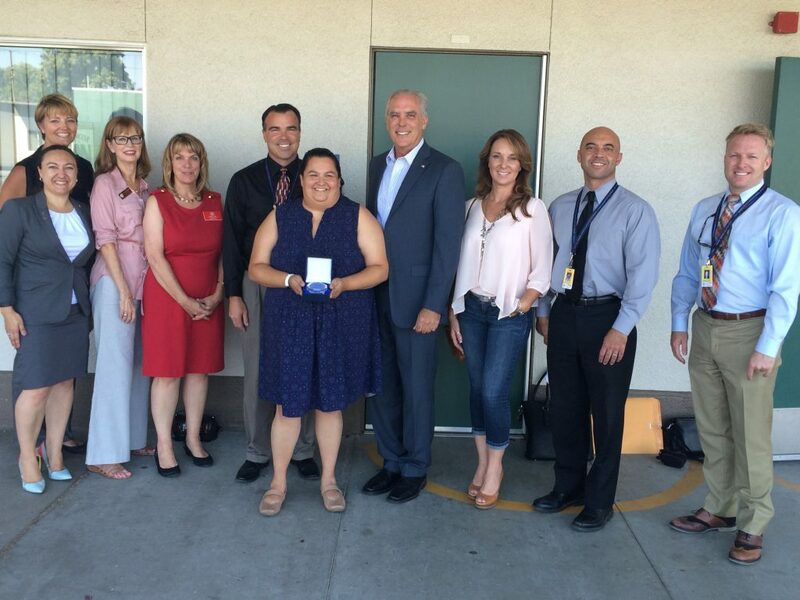 On hand to present Tammy Maddigan — our June Teacher of the Month – with her award are, from the left: Brian Iverson, SVEF Board Member, Pam Campeau, Representative from Assemblyman Scott Wilk’s office, Principal of Big Springs Elementary Lori Rangel, Tammy Maddigan, Brian Miller, SVEF Board Member and also Representative from Supervisor Foy’s office, Mark Upson, SVEF Board President, Marie Lakin, Representative from Fran Pavley’s office, Dawn Smollen, SVEF Board Member, Amy Ginnever, Ventura County Credit Union and Jake Finch, Simi Valley Unified School District. 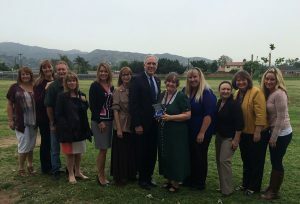 On hand to present Karen Librandi — our May Teacher of the Month – with her award are, from the left: Jake Finch, Simi Valley Unified School District, Lulu Means, SVEF Board Member, Dawn Smollen, SVEF Board Member, Pam Campeau, Representative from Assemblyman Scott Wilk’s office, Brian Miller, SVEF Board Member and also Representative from Supervisor Foy’s office, recipient Karen Librandi, Principal of Township, Lori Neiman, Marie Lakin, Representative from Fran Pavley’s office, Mark Upson, SVEF Board President, Brian Iverson, SVEF Board Member, and Amy Ginnever, Ventura County Credit Union. 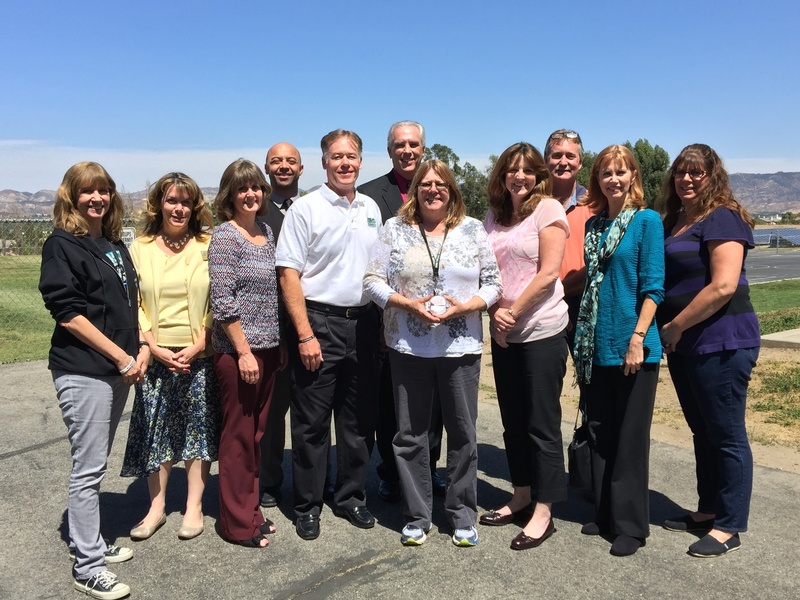 On hand to present Linda Fowler — our April Teacher of the Month – with her award are, from the left: Michelle Scharf, SVEF Board Member, Marie Lakin, Representative from Fran Pavley’s office, Kim Holden, SVEF Board Member, Hani Youssef, SVUSD Assistant Superintendent Educational Services, Mark Upson, SVEF Board President, Brian Miller, SVEF Board Member and also Representative from Supervisor Foy’s office, Linda Fowler, our recipient, Jennifer Goldman, Principal of Mountain View Elementary, Brian Iverson, SVEF Board Member, Pam Campeau, Representative from Assemblyman Scott Wilk’s office, and Carla Lowe, SVEF Board Member. 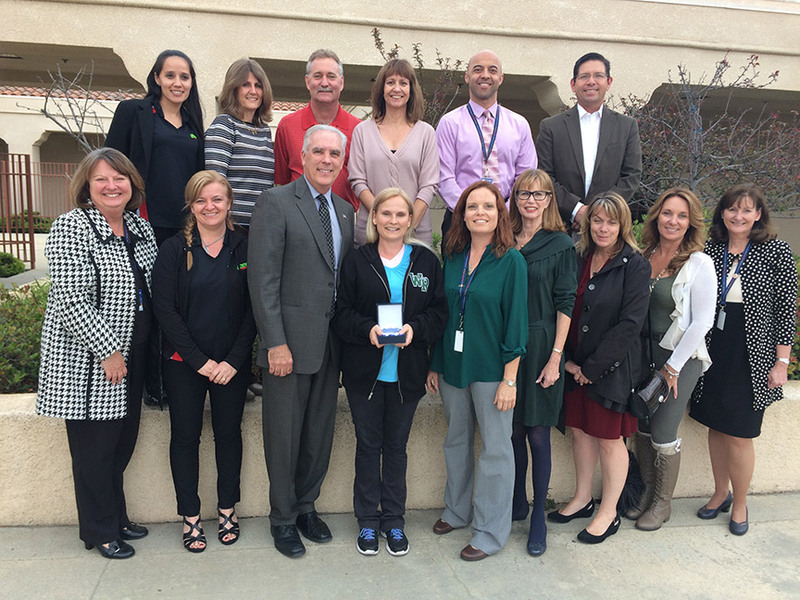 On hand to present Jennifer Conmay — our March Teacher of the Month – with her award are, from the left: Jake Finch, SVUSD, Kim Holden, Kristin Tignac, and Brian Miller, all SVEF Board members, Michelle McManigal, principal of the school, Jennifer Conmay, Bob LaBelle, SVEF Board member, Pam Campeau, Representative from Assemblyman Scott Wilk’s office, Allan C. Mann, SVEF Board member , and Marie Lakin, Representative from Fran Pavley’s office. 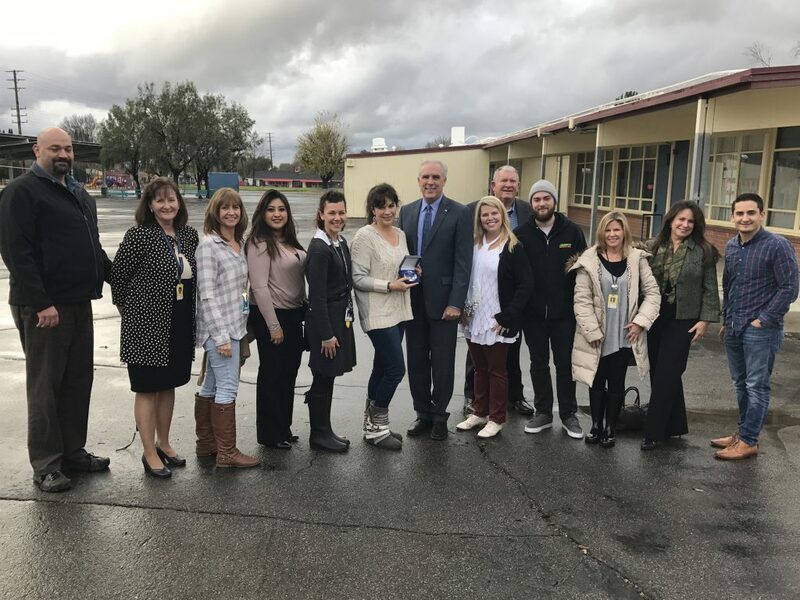 On hand to present Rita Bennett — our February Teacher of the Month from Arroyo Elementary School — with her award are, from the left: Marie Lakin, Representative from Fran Pavley’s office, SVEF Board Member Brian Miller, also representing Supervisor Foy, Aldo Calcagno, Principal of Arroyo Elementary, and Jake Finch, SVUSD. 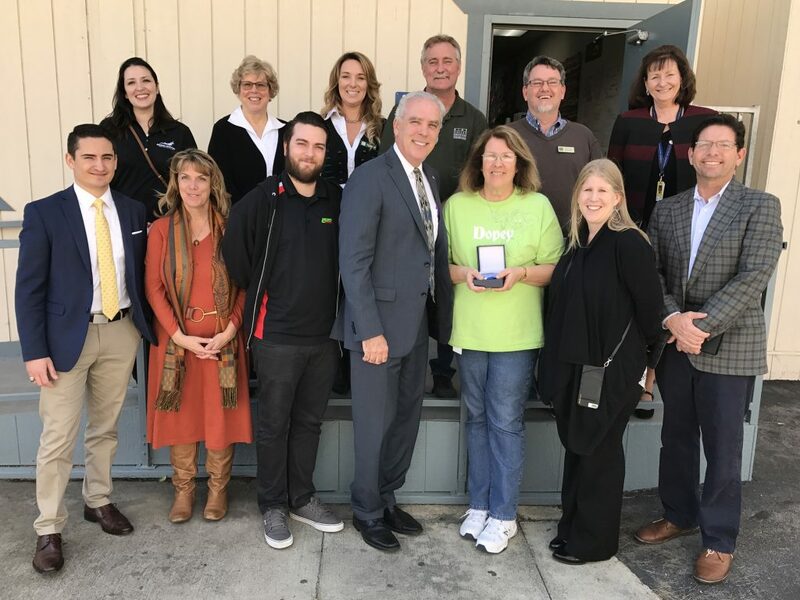 On hand to present Karen Hazlewood — our January Teacher of the Month from Santa Susana High School — with her award are, from the left: SVEF Board Member, Kim Milstien, Jake Finch, SVUSD, SVEF Board Member Brian Iverson, Karen Hazlewood, SVEF Board Member Brian Miller, also representing Supervisor Foy, Wendy Mayea, Principal of SSHS, and SVEF Board Member Carla Lowe. 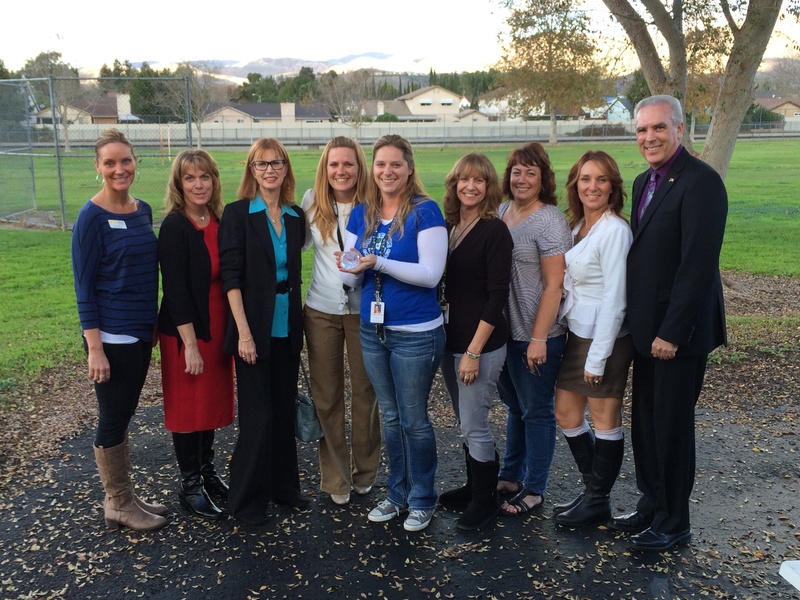 On hand to present Heather Gearhart — our December Teacher of the Month from Katherine Elementary– with her award –are, from the left: Amy Ginnever, Ventura County Credit Union Simi Valley; Marie Lakin, Representative from Fran Pavley’s office, Pam Campeau, Representative from Assemblyman Scott Wilk’s office; Katherine Elementary Principal Jamie Snodgrass; recipient Heather Gearhart; and SVEF Board Members Michelle Scharf, Cathy Carlson, Dawn Smollen and Brian Miller, also representing Supervisor Foy. 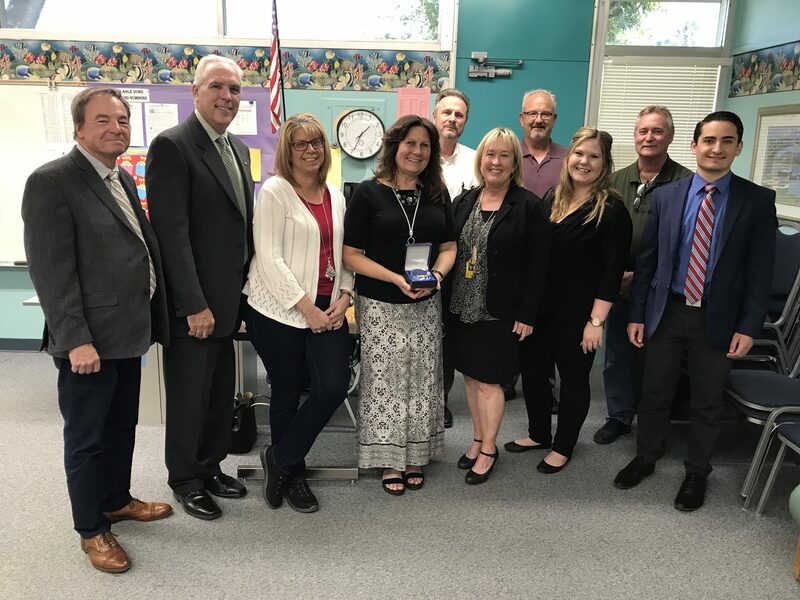 On hand to present Terri Zahnow — our November Teacher of the Month from Abraham Lincoln Elementary– with her award — were SVEF Board members, elected officials and SVUSD personnel. From the left are: Jake Finch, SVUSD; Amy Ginnever – Ventura County Credit Union; Brian Miller, SVEF Board Member and Representative from Supervisor Foy’s office; Terri Zahnow, Teacher of the Month recipient; Michelle Scharf, SVEF Board Member; Marie Lakin, Representative from Senator Fran Pavley’s office; Pam Campeau – Representative from Assemblyman Scott Wilk’s office; and Nikki Perryman, Principal at Abraham Lincoln Elementary. 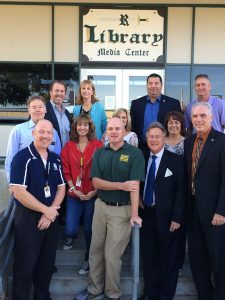 On hand for the surprise presentation were Mayor Bob Huber; Councilman Mike Judge; Pam Campeau, representing Scott Wilk; Lori Fraschilla from the Ventura County Credit Union; SVEF Board President Mark Upson; business donor and SVEF Board member Brian Iverson; and SVEF Board members Cathy Carlson, Brian Miller, Brian Ring and Michelle Scharf. On hand to present Maria Baro — our September Teacher of the Month with her award — were SVEF Board members, sponsors and elected officials. 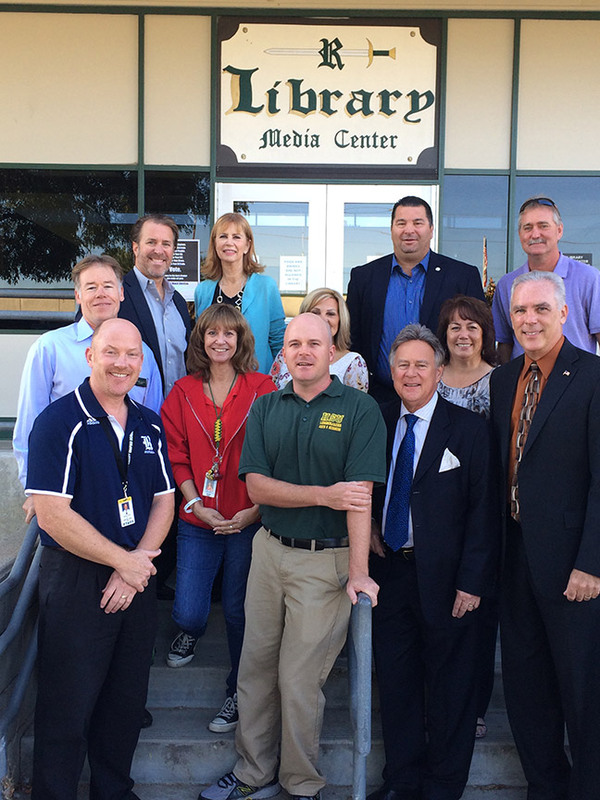 From the left are: Pattie Braga – Ventura County Credit Union; Jake Finch – SVUSD; Pam Campeau – Representative from Assemblyman Scott Wilk’s office; Nora Kuntz, Principal at Crestview Elementary; Maria Baro, Teacher of the Month recipient; Brian Miller, SVEF Board Members and Representative from Supervisor FoUy’s office; Brian Iverson and Kristin Tignac, SVEF Board Members; Marie Lakin, Representative from Senator Fran Pavley’s office; and Amy Ginnever, Ventura County Credit Union Simi Valley.